There are as many different strategies for growing a Twitter profile as there are Twitter marketers out there. What do the experts say, though? Those who have been successful, who have grown their profiles, have wisdom to share. I’ve collected a lot of it below. There’s a lot, so lets get started! 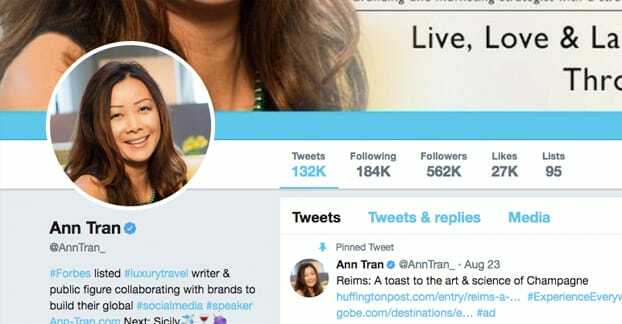 Ann Tran is a long-time user of social media and an expert in organic growth. Her techniques tend to rely on organic, valuable posting without the need to spend hundreds on advertising. Follow people who engage with your content. Don’t blindly follow back anyone, but follow the people who clearly read your stuff and leave comments or consistently engage. Stay active. Post and follow people every day. It only takes a few minutes and can be done on the go via a mobile device. Try to retweet a few people every day, particularly users you haven’t retweeted before. The larger your social presence, the more of an effect it will have on them, and the more likely they will be to join your community in return. Stay focused in your topic, niche, and industry. When you’re all over the place, you split your audience and diminish your value to any one person on average. A focused account is an account with a dedicated follower base. Showcase what you’re good at. Writers, share good, pertinent writing. Artists, post your finished projects and works in progress. Musicians, share your jam sessions. Post something interesting every day and new people will follow. Diversify your social presence. Don’t put all your eggs in one social basket. If Twitter fails, you don’t want to be left out in the cold. Plus, you can establish feedback loops between your social profiles. 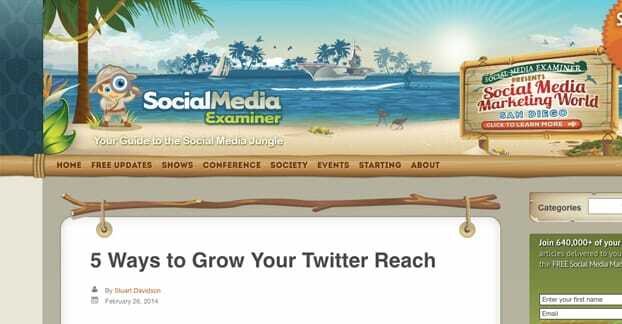 The Social Media Examiner is a long-time authority on all things social. I’ve sourced some of their older Twitter tips, but they’re still relevant today, even several years later. Follow the 80/20 rule, or something like it. 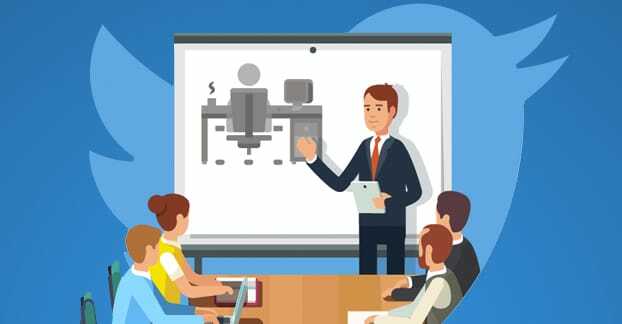 The idea is to spend 80% – or at least a majority – of your time engaging, interacting with, and promoting others on the site. The remaining 20% of the time is where you can promote your own content, website, and product. This helps you avoid over-promotion, which drives people away. Don’t start your tweets with an @username, unless you want that tweet to be basically hidden. Tweets that start with @ are used primarily as replies and are not necessarily shown publicly to your users. If you want to make a reply public, put a . before it. Cross-link your Twitter profile everywhere. Put it on your Facebook, your LinkedIn, your other Twitter accounts, your email signature, your business card, your direct mailers, and anywhere else you have access to put it. Join dedicated marketing communities to make friends and forge partnerships. Sites like BizSugar, Social Buzz Club, The Writers Social, and Triberr are all good places to find people to hook up with for mutual value. Use advanced search by keywords to find conversations you can drop in and add to. You can also monitor relevant hashtags, watch industry peer accounts, and trending hashtags for these opportunities to get your voice heard. Make use of Google Markup code and customization of your Twitter website card to make sure your content appears on Twitter exactly the way you want it. Make use of your keyword research for your website to try to get your tweets indexed by Google. They won’t be high priority, at least not for long, but it can be some decent value. 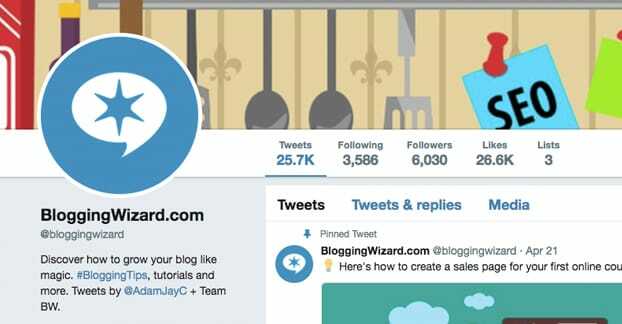 Adam is the owner of Blogging Wizard, a five year old blog dedicated to growing blogs through all sorts of means, ranging from social media to cunning design to tools and plugins. I’ve gone ahead and found his best public tips for Twitter, but you can find more exclusive content on his site. Use a unique image for your Twitter profile picture. People like engaging with other people more than they like a faceless logo commenting on their feed. You come across as more personable, even with the exact same content. Customize all the elements of your Twitter profile. Your header image is another place you can use graphics for character, and your actual text bio is an excellent way to both add a couple keywords for SEO relevance and write an organic description of who you are. Appeal to your audience! Write blog posts that link out to content written by other influencers. When the post goes live, write a tweet like “New post is live, building on insights from @influencer’s blog!” The mention and the link should encourage them to share your content. Embed Twitter content in your blog posts. If someone tweets some amazing insight or a nice joke that’s relevant to your situation, don’t just link to it, embed the whole tweet. That way, people can engage directly with the tweet and can follow through to follow you. I do recommend taking a backup screenshot in case the tweet or the account disappears, however. Don’t tweet too often. Sure, you can tweet 10 times a day and reach a wide audience for a lot of beneficial engagement. You just should avoid tweeting 10 times in a half hour. The exception to this is tweetstorms, which should be a rare occurrence. Want more retweets? Just ask for them! Studies have shown that asking for a retweet can boost your retweets by as much as four times. However, you need to respect your audience; only ask for retweets on important posts and only sparingly. Change up the types of content you share. Text posts are fine, links are fine, but adding images, gifs, and even short videos can make your timeline much more interesting. Keep a pinned tweet with your top content, and rotate it every few weeks. Tweets grow stale, but a good one with lasting value can be kept alive for a few more days or weeks by pinning it. Participate in Twitter chats. Twitter chats are typically run by influencers and are meant explicitly to foster discussion and engagement between people in your industry. Answer questions, ask questions, and engage with other chatters. Pay attention to Twitter timing! Your users might not be using Twitter when you think they are, so do some analysis to find out what their peak active hours are and schedule your most important tweets to show up right at the right time. 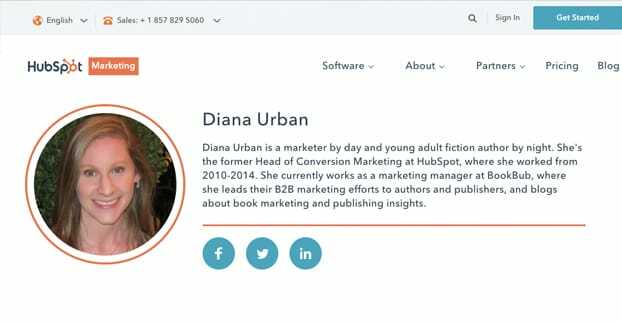 Diana is the marketing manager for BookBub and is the former head of Conversion Marketing at Hubspot, which is where she posted some excellent Twitter growth advice. I’ve curated her best tips – without duplicating the above – here for your perusal. Structure your tweets properly. Conventions are conventions because they work; don’t buck the trends just to change things up. Lead with your main message, add the link second, finish with a hashtag, and if you still have room, add an afterthought if you have one. When you retweet something from your industry, add value by adding your thoughts as a retweet with comment. This helps establish you as a thought leader and can get you retweets aplenty if you’re clever enough. When curating content, establish a broad list of sources, both so you don’t seem like a shill for the same few people and to keep your feed as close to a broad news source as possible. Let slip the occasional mundane tweet. No one really cares about the weather or about what you had for lunch, but one rare, exceptional tweet can add a layer of humanity to your account. Run contests on Twitter and make sure to use a branded hashtag. At the least, you’re getting more exposure. If you’re lucky, you can hit the trending sidebar, at least for local trends. Make copious use of Twitter lists. The help you organize and can make your feed usable when you follow hundreds or thousands of people. News lists, influencer lists, high tier follower lists, friends lists; you can have as many as you like. Avoid the common abusive techniques, like directly linking a blog post to individual people who have no reason to want it, spamming people with unsolicited DMs, or churning followers. Track your tweet performance using tools like Twitonomy. Check out which tweets get the best response, and figure out why and if you can replicate your success. Don’t be afraid to tweet the same content – from different angles – several times in a day or throughout the week. You can cover multiple time zones and different groups of users that way. Use a plugin like a Click to Tweet or Highlight to Tweet option so that users can quickly and easily tweet out advice they get from your blog without having to copy and paste, change sites, and make a tweet themselves. While the folks I linked to above are all great authorities, they are by no means the only authorities. Plenty of people out there have a few tips to share, so I’ve gathered them up to round out the rest of this list. These come from sites like KissMetrics, PostPlanner, Forbes, and Constant Contact, among others. Set up some system where you are notified of new engagement and you can respond right away. Response times are essential. If this means desktop notifications through an app or just the Twitter mobile app with push notifications, so be it. Make as much or as little use of Twitter ads as your budget allows. They aren’t strictly essential, but they can be very helpful. One good starting place is to use a tailored audience based on your mailing list. Do some deep analysis on possible hashtags. A good list of varied hashtags is essential for consistent marketing. Finding tags people use, tags you can jump into, and tags you can take over as your own is a great way to build a lasting resource. Use a tool like Hashtagify.me or RiteTag to analyze tags for you. Scope out your competitors and their audiences using tools like Twitonomy. You can find their most active followers, people you can network with, strategies you can poach, and a lot more. It’s not stealing, it’s competitive intelligence! Monitor Twitter through tools like HootSuite to keep an eye out for times you’re mentioned but not explicitly tagged. These can be good customer service opportunities or good chances to jump in and make someone’s day. Use Google’s UTM parameters to create links that you can track in Google analytics. This helps you analyze traffic in detail, and can help you differentiate traffic to one page from links posted in different tweets or from different sites. Remember that there’s an element of quality over quantity when it comes to Twitter followers. 10 good followers are better than 100 bad ones. Don’t worry about slow growth if you’re getting good engagement. Make Twitter part of your mailing list onboarding drip campaign. You already have their attention, why not get them to follow you in a more casual setting as well? Retweet people who link to your site or share your content on their own. You can’t retweet people who retweet you unless they add a comment, but you can retweet them when they do! They’ll appreciate it. 42 tips is a nice number, don’t you think? The meaning of life, the universe, and everything involving Twitter can be found above. Unless, of course, you have a tip that I haven’t listed. If you do, by all means, post it below. I’d be happy to see what you have to say. Can You Hire Somebody to Grow Your Twitter Profile for You?